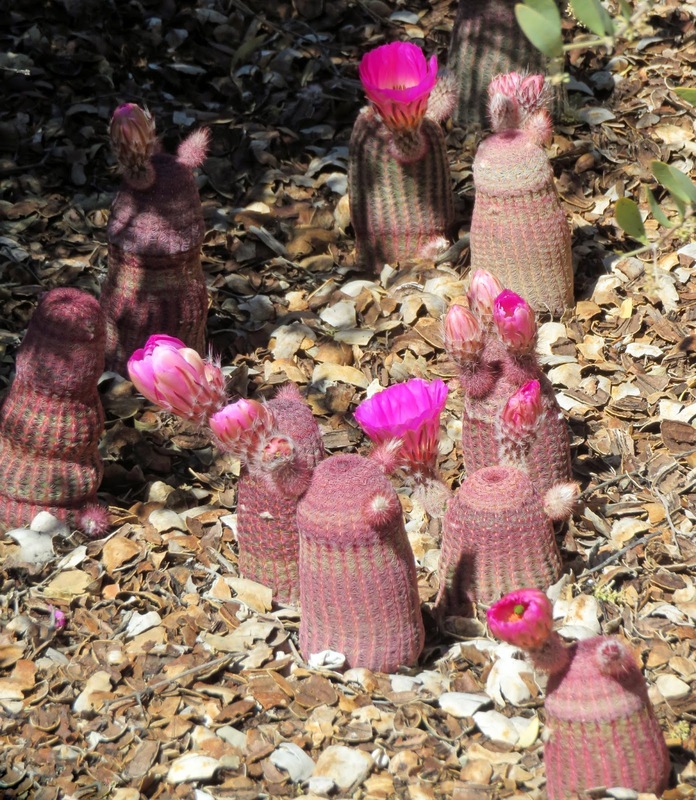 These are called Rainbow Hedgehog Cactus. They can reach up to 8" in height and sprout pink to magenta flowers that are approximately 3" in diameter. A nice pop of color for the otherwise very somber desert landscape.